My main research interests involve inter-colonial networks of migration, trade, and communication and technological and cultural cross-fertilization within the seventeenth- and eighteenth-century Atlantic world. I use the island of Bermuda (England’s oldest colony) as a historical laboratory to study the earliest phases of Anglo-American colonization, African slavery, Puritanism, maritime communities, culture, slave labor systems, and the intra-American coasting trade and smuggling. I also consider American Revolution and ensuing reconfiguration of the British Empire within wider Atlantic and global contexts. 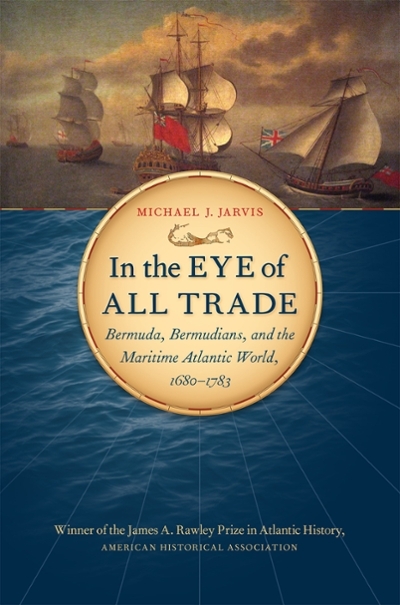 I address many of these subjects in my book In the Eye of All Trade: Bermuda, Bermudians, and the Maritime Atlantic World, 1680-1783 (Chapel Hill: University of North Carolina Press/OIEAHC, 2010), which won the American Historical Association’s James A. Rawley Book Prize in Atlantic History. I am currently completing Atlantic Crucible: Bermuda and the Beginnings of English America, 1609-1684, as a prequel to Eye of All Trade. My research is broadly interdisciplinary. Trained as a social historian and historical archaeologist, I also incorporate material culture, architecture, and environmental history in my comparative Atlantic, maritime, and Caribbean studies. 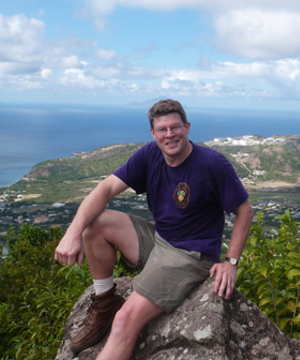 I have more than twenty years of archaeological fieldwork experience excavating colonial and Revolutionary sites in Bermuda and the United States, most notably with Jamestown Rediscovery in 1995 when we located the original 1607 James Fort site. Since 2010, I have combined my historical and archaeological interests to launch the Smiths Island Archaeology Project, which will systematically locate, excavate, and study all houses and activity sites on a 60-acre Bermudian island across 400 years. Since 2012, I have run an annual five-week field school to teach undergraduate students research, remote sensing, and excavation methods, artifact identification and analysis, and site recording techniques. Please visit my blog, Smiths Island Archaeology Project, for site reports, field school applications, and additional information on the 23 sites we’ve found and the four we’ve thus far excavated. Students: Download an application to join the 2018 Smiths Island field school here. In 2013, I began creating a Virtual St. George’s as a Digital History project combining empirical and quantitative New Social History methods with 2D and 3D GIS spatial analysis to create an interactive humanistic geospatial laboratory and multi-year historical simulation experience. This project draws on earlier extensive research I did as a graduate student reconstructing the property histories of more than 250 houses in St. George’s, Bermuda. 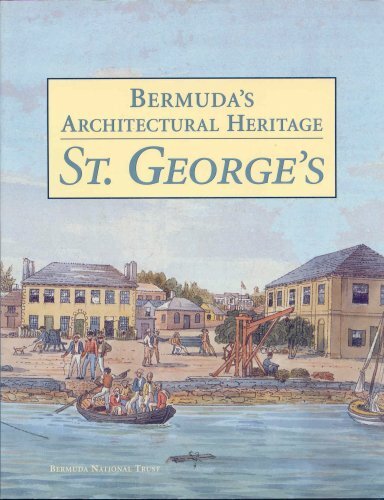 This work produced my first book, Bermuda's Architectural Heritage: St. George's, and was key to Bermuda’s successful bid to obtain UNESCO World Heritage Site status for St. George’s in 2000. Virtual St. George’s will combine the historical precision of a community study across twelve generations (1612-1900) with 3D renderings of the townscape at various key years (1620, 1660, 1700, 1775, 1812, 1865) and video game design character animation and interactivity with rigorously researched avatars. By stressing public history and digital history alongside traditional historical and interdisciplinary training, I hope to prepare majors and graduate students alike to become 21st-century historians and pioneer new interactive and immersive digital ways to research and understand historical subjects. In August 2014 I became Director of UR’s recently launched Digital Media Studies program, faculty liaison for the college’s new state-of-the-art Rettner Hall for Media Arts and Innovation, and architect of a major overhaul of the DMS major curriculum in light of changes within the digital media industry field. This involvement has pushed me as a historian to explore emerging technologies like UAV (drone) aerial image capture and 3D landscape modeling, laser scanning, building computers, virtual reality, augmented reality and 360 spherical photos and video. I have created a Digital Technologies Lending Library to provide students and faculty open access to these and many other tools for their own research project development. Since 2016, Archaeology, Technology and Historic Structures Program Director Renato Perucchio and I have launched the Digital Cultural Heritage of Ghana Archaeological Research Project in partnership with the Archaeology Department of the University of Ghana. This multi-year project involves Ghanaian and Rochester faculty and graduate students in digitally recording, modeling, and structurally analyzing Elmina Castle, a UNESCO World Heritage Site built in 1482 and the oldest surviving Atlantic Slave Trade base in Sub-Saharan Africa. In June 2017, I co-led a digital archaeology field school at Elmina training students in laser scanning, photogrammetry, 360 degree spherical photography, and aerial drone photo surveying to document 120 of Elmina’s 160 rooms and areas and am developing a digital history project in which student researchers are making a Virtual Elmina experience in Unity to visit the castle today and circa 1740, at the height of its Dutch use as a slave trading base. Public History is the common theme that runs through all my interests. I deem it vital to make the past accessible and relevant to a broader public as well as to university students and peers. Archaeology unearths new information to complement documentary research, and digital modelling and simulations helps us better visualize and understand an often murky and unevenly told early Modern Atlantic past. My commitment to public history is also pedagogical: I’ve supervised more than 40 Public History undergraduate internships (HIS 394) in the past 12 years, placing students in Rochester area museums, archives, and education centers. The opportunity to “try on” a potential career for a semester has been transformative for many students, some of whom go on to museum studies/library sciences graduate programs and jobs. I will be accepting graduate students for admission in fall 2019 who are interested in Atlantic World networks, comparative colonial history c. 1600-1800, and digital history with an emphasis on visualization, 3D modeling, GIS, and videogame engine-based interactive simulations. "The Binds of the Anxious Mariner: Patriarchy, Paternalism, and the Maritime Culture of Eighteenth-Century Bermuda," Journal of Early Modern History XIV (June 2010): 1-43. "Maritime Masters and Seafaring Slaves in Bermuda, 1680-1783," William and Mary Quarterly, 3rd series LIX (July 2002):585-622. Bermuda's Architectural Heritage: St. George's. volume II, Bermuda National Trust Architectural Heritage Series (Hamilton, Bermuda, 1998). "The Vingboons Chart of the James River, circa 1617," William and Mary Quarterly, 3rd ser., LIV:357-74 (1997), with Jeroen van Driel. "'The Fastest Vessels in the World': The Origin and Evolution of the Bermuda Sloop, 1620-1800." Bermuda Journal of Archaeology and Maritime History VII:31-50 (1995).